Three months after Hurricane Maria hit Puerto Rico, about half the capital San Juan is still waiting for the lights to come back on. In this interview with journalist Daniella Cheslow, Mayor Carmen Yulín Cruz says this is an opportunity for private capital to help transform the city and the territory into a solar laboratory. San Juan Mayor Carmen Yulin Cruz walks the halls of the city's Hiram Bithorn Stadium, moments after throwing the first pitch at an exhibition game on December 9, 2017. She estimates about half her city still lacks power, and calls on solar companies to invest. pv magazine: How are repairs going? Carmen Yulín Cruz: I just came from a meeting with a group of citizens. There are 34 buildings in a particular area that still don’t have energy. pv magazine: Do you know how much of San Juan still lacks power? Yulín Cruz: We don’t know. That is part of the credibility problem that the government is having here and in the States. Just before Irma, it used to be that one building was one client, even though you may have 40 or 50 apartments, each one with an individual line. We calculate 50% of San Juan still doesn’t have power. pv magazine: I spent yesterday following New York electrical crews as they tried to repair the grid in Old San Juan. * What effect are they having on the city? Yulín Cruz: Well [they] are working very hard in the Old San Juan area. It’s almost entirely energized and of course that was very important. That was a result of a very intensive campaign by small business owners in Old San Juan. Yesterday there was a protest of citizens. Yulín Cruz: Protesting not having light. pv magazine: Where was this, at PREPA [the Puerto Rican Power Authority]? Yulín Cruz: There was one at PREPA, there have been others at different communities. I’ve kept a little away from it because I don’t want the matter to become politicized. Our worst devastation in this country is that everything you say is seen through the glasses of the political party you belong to. This is one of the good things about Bernie Sanders’ and Elizabeth Warren’s program for Puerto Rico. pv magazine: Their proposal to have a $146 billion aid program? Yulín Cruz: But it’s not really the money, which of course is needed and is important. But you have people like the Rockefeller Foundation and the Ford Foundation working together to put forth a plan or an assessment of how much it’s going to cost so that it’s credible. Because the credibility of the Puerto Rican government, here and in the United States, has been affected with things like Whitefish, like not being able to say what the appropriate death toll is in Puerto Rico. I’ll give you an example. When President Trump was here [the death toll] was 16. An hour after he left it had jumped to 30-something. Why is it that we continue to focus on the amount of deaths on the day of the actual activity and the hurricane? I don’t talk about rebuilding, I talk about transforming. pv magazine: When do you think the residents of San Juan can expect to have their lights on? Yulín Cruz: I have no idea. The central government said we’re going to have 95 percent of the country energized in December, and now they’re shying away from that. The Army Corps of Engineers and other people are saying it’s going to be March or April. And whatever we have in San Juan, it’s very unstable. The power goes on and off on a continuous basis. Of course I would say, when do we need it? Now. What do we need to do? We need to provide energy to people but we also need to do it in a way that we don’t get shot [in] the foot and we set the basis for renewable energy, which is one of the areas that I think Sen. Sanders’ bill for Puerto Rico is important. I don’t talk about rebuilding, I talk about transforming. Electrical worker Marc Noisette of Westechester County, New York repairs the grid in Old San Juan on December 8, 2017. San Juan’s Mayor Carmen Yulin Cruz says her city’s residents need power, but she hopes to integrate renewable energy into hurricane recovery. pv magazine: So I was out with this New York crew yesterday and they are definitely just patching up what was there. Bolt by bolt, pole by pole, wire by wire. Is this a good idea? Part of what I did last week in the States is make sure that we had conversations set up and had meetings with people from [Al Gore’s Climate Reality Project] and so forth to help us put together a group of experts that could tell us, this is what has happened in other cities. So that we then transform communities into resilient ecosystems, where water, energy, education, health, waste disposal, empowerment of the people and political participation, and renewable energy, how to ensure that those ecosystems are built. pv magazine: Where will the money come from? Yulín Cruz: Well, this is another thing we have to look at. We have foundations working in San Juan, Operation Blessing, Oxfam. That have given good amounts of money, the Clinton Foundation has committed to energizing a farmers’ market, the largest one in Puerto Rico. And there are other small solar energy companies that want to come and help. So that is important. But we are going to have to make an investment on that. pv magazine: You mentioned the Clinton Foundation, I know they’ve been working with Solar Saves Lives and with you. And there are other [investors] imagining building out solar villages with private investment. Without money from Washington or the Puerto Rican government, can San Juan run on 100% renewable energy? Can the private sector and nonprofits fill that gap? Yulín Cruz: Yes they can. And one of the reasons why I know we can is if we get plugged in into international help. Which we have been getting, people from different world organizations saying look, we’d like to do this or that. It’s very important that we participate but not as innocent bystanders. But yes we can. Is it going to take some time? Yes. But you know, Kennedy said, in his inaugural speech, in the next decade we’re going to put a man on the moon, and did it fairly quickly. You have to set the standard and set the goal and move toward that. pv magazine: Could you give me some details of your plan in terms of renewable energy for San Juan? Timeline? Yulín Cruz: The timeline, we’ll set the basis this term and it will probably take the next term to be able to see it, but it’s to look at three or four communities and make sure that we build that ecosystem of sustainability. That we make loans available to people that want to put in solar systems and come off the grid. That we ensure that we have microgrids, which are solar-powered, or wind-powered where it’s possible. That people can collect rainwater, and with the rainwater… look, we did it in our park. We have a park called Luis Muñoz Marín park. It’s 50% renewable energy and we use all the water we collect from the rain for the bathrooms and for the greenhouse that we have. pv magazine: You were talking about having three or four example communities. Yulín Cruz: One is La Perla, which of course is [near] Old San Juan; with a second phase of Old San Juan. Third is a place called Playita Shanghai, which is on the way to the airport. And we are looking into a smaller urban community, which we haven’t determined yet, in order to ensure that everyone has a cistern and has filtration systems and has a solar system in order to get the energy. pv magazine: For these communities you mentioned, where will the money come from for building solar? Yulín Cruz: Part from grants and part from investments. Yulín Cruz: From outside, yes. pv magazine: Is there any issue with Puerto Rico’s credit in terms of getting investments? Yulín Cruz: Puerto Rico doesn’t have credit. We didn’t have it before, we don’t have it now. That’s why that debt has to be wiped out. That $72 billion debt has to be wiped out. Yulín Cruz: We couldn’t pay it before, we sure are not going to be able to pay it now. I mean that’s it. Things like the Stafford Act for FEMA need to be waved. Again, we can’t patch up things. We don’t want to rebuild a home with wood and zinc top. And things like our grid, we have to patch it up. It’s like singing a song on two tempos. Get the beat, which would be the grid, but then you have the melody which would be the solar energy and the renewable energy. Yulín Cruz: Four pilot communities, yes. Because people need to see that it works. There are a lot of misconceptions. People think that if there’s a rainy day, which there are a lot of in Puerto Rico, you won’t have any solar. They don’t know it’s a particular sunray that hits that can be absorbed into a battery and then used later. pv magazine: So for those four communities, is all that funding going to be coming from off the island? Yulín Cruz: Some of it is going to be from the municipality, and then this is when you have to have a very intense and close dialogue with communities to ensure that priorities change. I don’t think we’re there yet. I think people think we’re going to be able to have business as usual in January or February. And that’s not it. It’s not going to happen. We will have to build a new normal. pv magazine: When you talk about municipal investment in solar, what level are you thinking of and where does the funding come from? Yulín Cruz: Self funding and…. 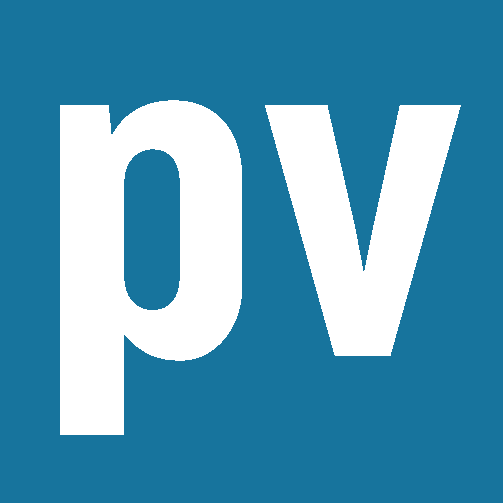 pv magazine: Does the municipality have budget to invest? Yulín Cruz: Yes, we have the budget to invest. As with everyone’s budget we’re going to have to look at it and see, do we want to put the money in this or do we want to put the money in that. And we’re going to have to engage our communities to make that decision. pv magazine: What sort of figure are you thinking of? Yulín Cruz: I have no idea. That assessment is being made right now to know, on each of these communities, the three that have been developed and determined and the one that hasn’t been picked yet, how much is it going to cost and at what level. pv magazine: So it’s still in the planning stages. Yulín Cruz: Yes. In the planning and assessment stages. pv magazine: I met with someone from the German solar battery company sonnen. And he has a big dream to come here, string microgrids across the island and maybe even rewire the electrical grid. Are investors like that welcome here? Yulín Cruz: Of course. They’re welcome in San Juan. Tell him to call me. And you know, Tesla came down and did something with the central government at the children’s hospital and is doing something in Vieques, which is a small municipal town on the eastern part of Puerto Rico. Yes, they are welcome but we have to ensure that they come with the right mindset. And that we know what the goals and aspirations of the Puerto Rican people are. So that they respond to our needs. But this could be a wonderful showcase for solar energy for the rest of the world. We’re 100 [miles] by 35 [miles], how difficult could that be. pv magazine: You’re on the knife’s edge right now. On the one hand you have unprecedented destruction and on the other hand you have all this opportunity but you have no money. Do you feel optimistic about the opportunity to change this island? Yulín Cruz: Sometimes you have to build the plane and fly it at the same time. That’s what we have to do. If we start thinking we have no money, and we cannot move ahead, then we will not look for opportunities of grants, opportunities from international organizations, opportunities of low-interest loans at the municipal level. This is why I keep pushing the municipal level. Because who is doing the work? It’s the municipalities. And the money cannot just go to the central government because we will fall through the cracks. So yes, everything can be done. pv magazine: You were just in New York. What were you doing there? Yulín Cruz: We have a foundation called Somebody Help Us, Alguien Ayudanos. The foundation came together because we were getting every day, $200, $300, $500 that people in the U.S. were sending to us, especially to me. So we set up a structure for helping people rebuild homes and community parks. We were launching the foundation. I received recognition from the New York City Council for advocacy work I’m doing. I participated in Al Gore’s 24 Hours of Reality program that talks about climate change because climate change is real. And we are the worst-case scenario. And I had a couple of interviews, one with TIME Magazine, one with PEOPLE magazine in Spanish, and it’s just an opportunity to let people know that we still need help. pv magazine: Is this a Washington issue or is this a San Juan issue? Yulín Cruz: This is an everybody’s issue. But PREPA, our power authority that is under the guidance of the governor, is the one that is called upon to work on it. What happened? We gave a two-person Montana company a $300 million contract. The heat got too heavy and they had to be pulled back. It took the central government of Puerto Rico 60 days to ask for the help you can ask from other power companies. Has it been handled properly by the central government? No. Does it have to? Yes. Is it all our responsibility to ensure that it is? Yes. But ultimately, the governor and the central government are the ones that have the power to make the deals. pv magazine: Do you think the federal response in terms of power restoration is sufficient? Yulín Cruz: The federal response has not been sufficient for anything. Everything we have gotten is because we have clawed our way into the media in the U.S. This interview with San Juan Mayor Carmen Yulín Cruz was conducted and condensed by Daniella Cheslow. To see more pictures from Daniella’s recent reporting trip to Puerto Rico, follow her on Instagram. **Two days after this interview, the governors of Puerto Rico and New York announced a $17.6 billion plan to transform the island’s grid to be more resilient and renewable. They called for federal investment. ***The federal government has approved a $4.9 billion loan to help Puerto Rico recover from the hurricane.